Well-traveled bartender Chris Bostick knows the exact moment he decided to come home to Austin: “I was talking to a friend, and I just said, ‘Hey, it’s time to build a kid and raise a bar". Joking aside (or maybe that wasn’t a joke? ), it wasn’t an easy choice. 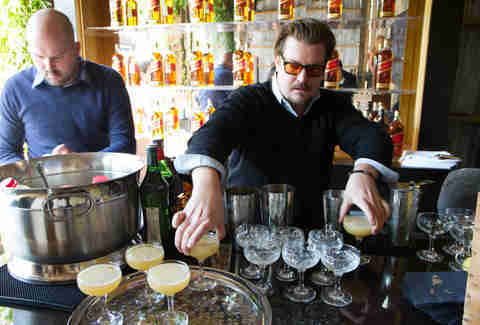 After a stint in NYC, he’d risen through the ranks to become GM at one of LA’s most prestigious classic cocktail bars, thanks in part to a philosophy he calls “ultimate hospitality”: a warm, friendly smile, calling out regulars by name, and being generous and sincere towards guests to earn their trust and friendship (so basically, acting like a Texan). Since answering the Lone Star’s call, he’s made a few of his own, rounding up friends like Sasha Petraske to help build his very own place. He likens his new duties to that of a quarterback. 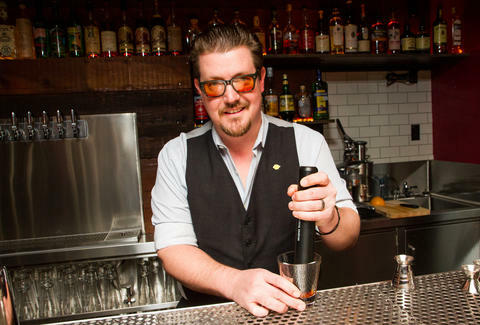 "When you're bartending, you're given that dimension of what your work entails. When you’re coordinating the build-out of a bar, there's a lot of self-responsibility, having to stay on top of things in order to keep it all moving." 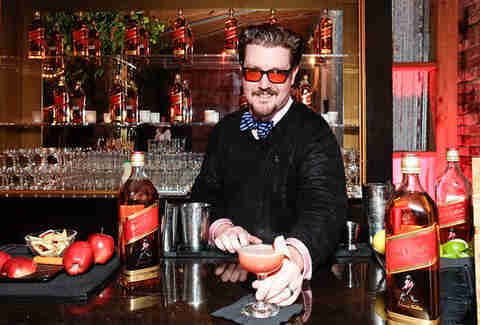 Chris maintained that less-is-best approach when he whipped up two cocktails for House of Walker®, starting with Red Means Go: Johnnie Walker® Red Label®, Calvados, fresh lemon juice, and two stone fruit liqueurs (Cherry Heering® + Rothman & Winter Orchard Apricot) in place of the sugar. "This drink ended up being the belle of the ball because it happened to be really effing cold during the week, and those Fall/Wintery flavors blended really well together." Chris’ favorite glass, though, is just plain whisky. Why? "Tradition. Plain and simple. They make it like they like to drink it.” That is definitely no joke.